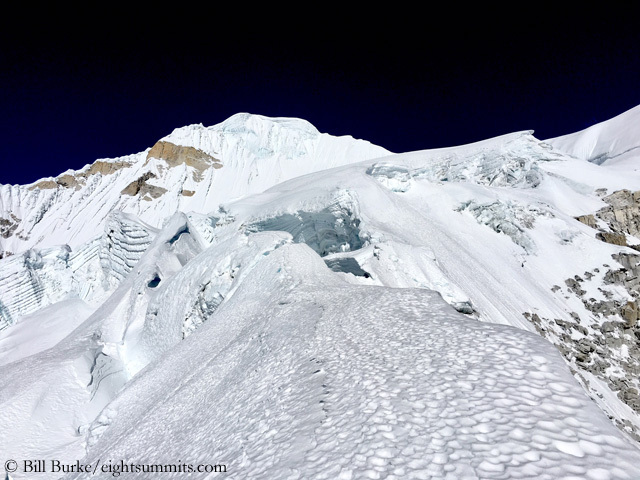 Naga Sherpa and Shera Sherpa, who should fix the ropes up to the planned Camp 2, found fragile cornices already on the Southeast Ridge. “One false step, and the cornice collapses, sending the Sherpas to certain death,” Bill describes the dangerous passage. 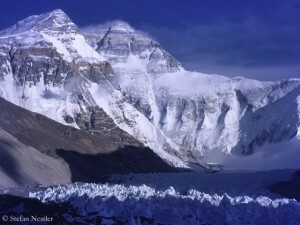 However, the team was finally checkmated by a new icefall, with “massive crevasses, ice towers and fragile snow bridges”. Naga Sherpa estimated that 15 aluminum ladders would have been needed to cross the crevasses. 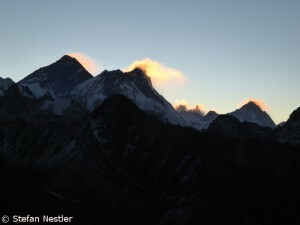 The two Sherpas declared the ridge to be impassable and turned around. 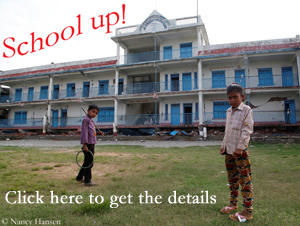 “I was in constant fear of my life,” Naga said. 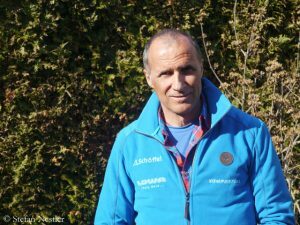 The six-time Everest summiter David Liano, who belonged to Burke’s team, wanted to gain an impression of the situation by himself. The 35-year-old Mexican also turned back at the icefall after he had tested a snow bridge and the ice had immediately started breaking when he had set foot on it. “Round 2 goes to Burke-Khang,” Bill sums up the expedition. “In political parlance, this was a landslide victory. We never had a chance.” Nevertheless Burke still considers “his” mountain to be ascendable, but only “at the right time in the right conditions”. 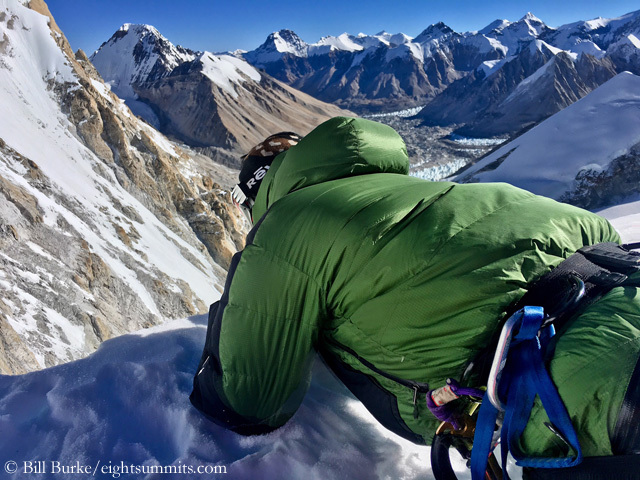 Before attempting to climb Burke Khang turns into an obsession or a crusade, he now pulls the brake. 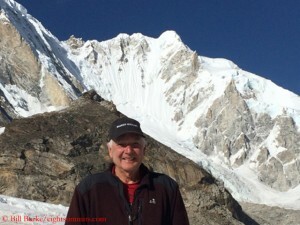 “In addition, age is taking its toll on my body,” says the 74-year-old, “and other adventures beckon. So, for now, I have no plans to launch another Burke Khang expedition. But, I will never rule out another attempt.” And in the meantime we look forward to the the next defense strategy of the chess-playing mountain in the Himalayas.